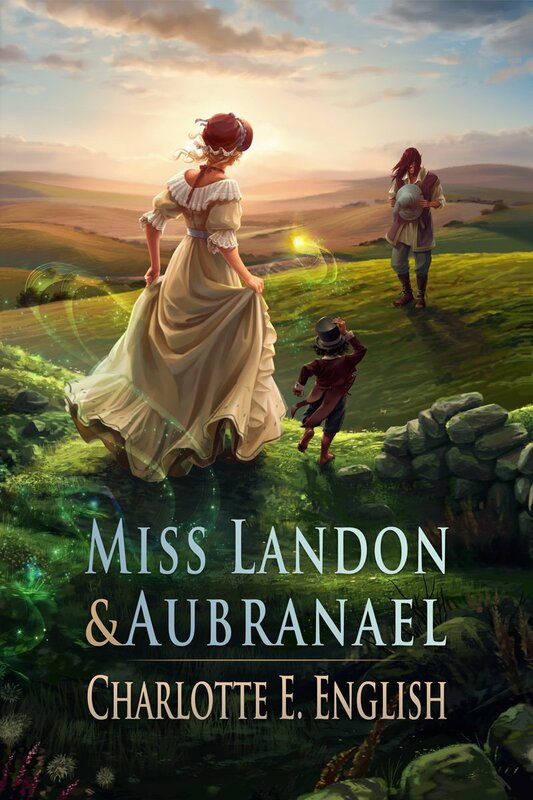 *Miss Landon and Aubranael (Tales of Aylfenhame Book 1) (Deal, Not Free) by Charlotte E. English, Rosie Lauren Smith. Price: $0.99. Genre: Romance Deal, Sponsor, Historical Romance, Regency Romance, Fantasy. Rated: 4.4 stars on 8 Reviews. 242 pages. ASIN: B00FK1WBU6. Reviewers love it: Charming, delightful and engaging! I was mesmerized by the storytelling and the refreshing nature of the tale! This novel is truly “novel” and feels like an adult’s fable! If you give this fun tale a chance, you will meet with goblins, brownies, wisps, a witch and a magical tea party. I was happy with the story, and I hope you will too! ***Blood Magic (Wing Slayer Hunter Book 1) by Jennifer Lyon. Price: Free. Genre: Romance, Paranormal, USA Today Bestselling Author. Rated: 4.6 stars on 181 Reviews. 386 pages. ASIN: B014ICR9VI. House of Slide, Wilds: Part I by Juliann Whicker. Price: Free. Genre: Romance, Paranormal. Rated: 4.5 stars on 4 Reviews. 171 pages. ASIN: B019YWB9G8. Immortal Earth (Vampires For Earth Book 1) by Sarah Warden . Price: Free. Genre: Romance, Dystopian, Paranormal. Rated: 4.5 stars on 4 Reviews. 159 pages. ASIN: B00LTAHO8Q. *Akira Rises by Nonie Wideman, Robyn Wideman. Price: $0.99. Genre: Fantasy Deal, YA Fantasy, YA Romance, Arthurian, Fantasy. Rated: 5 stars on 1 Reviews. 221 pages. ASIN: B01BHSTENW. Reviewers: I loved getting to know the characters and see how Akria is being molded to become this woman warrior! In a time of when women should be seen and not heard, she is definitely pushing the boundaries. Sitting on the edge of my seat, waiting impatiently waiting for the next book! *And The Puppy Howls: A 21st Century Adult Fairy Tale (The Puppy Series) by E. P. Lee. Price: Free. Genre: Romance, Sponsor, Domestic Life, Family Life, Fantasy. Rated: 4.7 stars on 20 Reviews. 517 pages. ASIN: B00IEJ8URE. Reviewers love it: This is a refreshing, heartfelt and a honest book! What an unexpected pleasure! A jolly good read! Whether you look at the glass half full or half empty, “The Puppy Owls” has all the ingredients! The trilogy is for any reader of any age, whether you own a dog or not! This story has some real power! Kudos to the writer! Blood Like Poison (Blood Like Poison Series Book 1) (Repeat) by M. Leighton. Price: Free. Genre: Teen & Young Adult, Love & Romance, Paranormal. Rated: 4.3 stars on 232 Reviews. 278 pages. ASIN: B004XJ555O. *Through the Fire (Daughter of Fire Book 1) by Michelle Irwin. Price: Free. Genre: Teen & Young Adult, Paranormal, Coming of Age. Rated: 4.8 stars on 28 Reviews. 224 pages. ASIN: B00OOTXGSQ. *Skin Cage by Nico Laeser. Price: Free. Genre: Teen & Young Adult, Paranormal & Urban, Contemporary Fiction. Rated: 4.9 stars on 27 Reviews. 180 pages. ASIN: B00RYDGWIA. *Echo in Time: A Time Travel Romance (Echo Trilogy, #1) (Deal, Not Free) by Lindsey Fairleigh. Price: $0.99. Genre: Time Travel Romance Deal, Sponsor, Paranormal Fantasy, New Adult & College Romance, Paranormal & Urban. Rated: 4.6 stars on 40 Reviews. 388 pages. ASIN: B00V42WOLG. Reviewers: I can’t remember the last time I was so utterly caught up in a story! I absolutely loved it! Once I reached the end of the first chapter, I had to stop to let my heart rate slow down! I gave it five stars and would have given more if it were possible! Fabulous! *Secrets of Lunar Falls by Lashell Collins. Price: Free. Genre: Romance, Paranormal, Multicultural & Interracial, Werewolves & Shifters. Rated: 4.7 stars on 33 Reviews. 400 pages. ASIN: B00NIXZFK6. ***Eternal Island (The Eternal Series Book 1) by K.S. Haigwood, Ella Medler, K.C. Designs. Price: Free. Genre: Paranormal Romance, Occult, Romantic Fantasy, Vampires, Angels, Demons & Devils, Witches & Wizards. Rated: 4.7 stars on 121 Reviews. 358 pages. ASIN: B00YLH30I2. *A Wicked Desire: A New Adult Paranormal Romance (The Kael Family Book 1) by T.S. Huxley, Adele Huxley. Price: Free. Genre: Paranormal Romance, Romantic Erotica, Contemporary Romance, Romantic Suspense, Suspense. Rated: 4.9 stars on 15 Reviews. 177 pages. ASIN: B012EXWJE0. Vampires & Werewolves: Four Novels by J.R. Rain. Price: Free. Genre: Paranormal Romance, Vampires, Paranormal & Urban, Angels, Werewolves & Shifters. Rated: 4.4 stars on 5 Reviews. 710 pages. ASIN: B004WOXPMA.